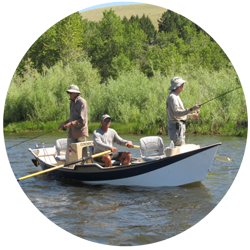 When you are looking to fish in new waters, the biggest favor you can do yourself is to take a custom guided fly fishing trip. Why use a guide? The best thing about using a guide is that you don’t even have to know anything about the rivers, the area, what rivers are good in which seasons, the applicable Fish & Game laws, the list goes on and on! At Clear Creek Outfitters we take pride in correctly matching you with your guide to make your custom guided fly fishing trip a success! Your guide will have excellent working knowledge with the river and species you’d like to target. Frankly, so you can focus on fishing! We take great pride in making a client’s day on the river a success. I have heard client’s horror stories about past guides, and don’t ever find out that one is about one of our trips. 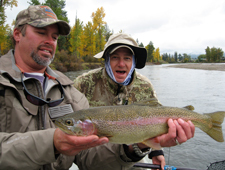 A successful custom guided fly fishing trip has to take many things into consideration. Of course, finding fish is very important, but a good personality, hard working, adaptable in different situations are all very important aspects of a good guide. Another thing we take pride in, is having equipment that is well kept up. Boats and coolers are cleaned nightly, and gear is top-notch. A day on the water isn’t cheap. I know that when I go on a trip, I wouldn’t want to get in a boat that’s dirty, or has beer cans rolling around or have to fish with gear that’s falling apart. So you’re not going to find that in the morning (on our boats)! Lastly, every one of our guides are extremely patient. We are here to help you succeed and become better anglers, catch fish and enjoy your days on the water. 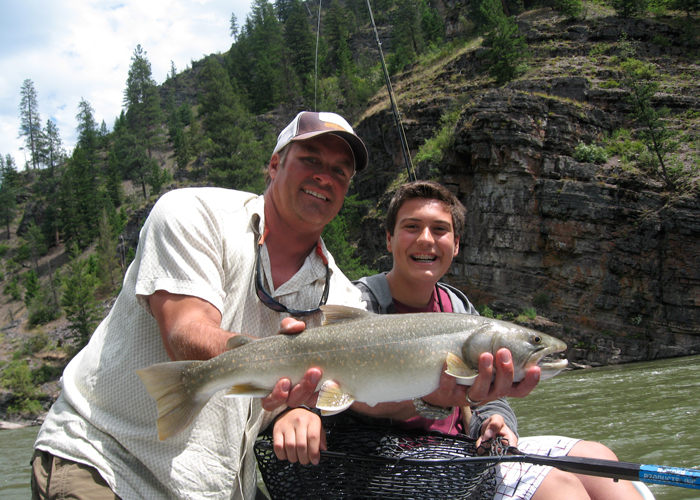 Enjoy our Custom Guided Fly Fishing Trips and have memories of a lifetime! Includes all the essentials plus a shore-side lunch. 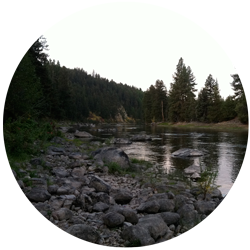 Available on the Blackfoot River, Bitterroot River, Clark Fork River, and the Missouri River. Fish with your sweetie and dinner by the shore or enjoy a peaceful evening trip with friends. Available on the Blackfoot River, Bitterroot River, and the Clark Fork River. Available from Mid July till the end of season. 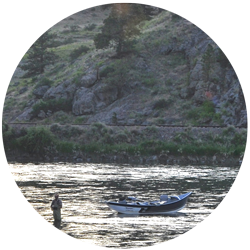 Call for availability and river conditions. Available on the Blackfoot River, Bitterroot River, Clark Fork River, and the Missouri River. 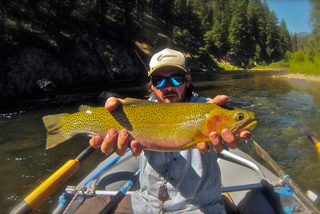 Bitterroot River Fly Fishing Catching Rainbows! It doesn't have to be just another day on the river! 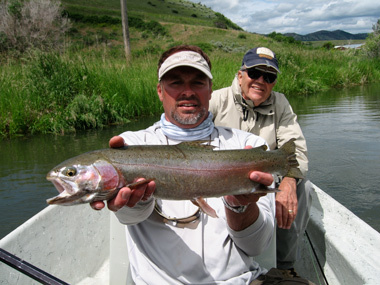 Missoula Fly Fishing Report delivered right to your inbox, along with handy tips, fishing tales and great catches! Contact us to schedule your trip!